Republican Party, assumed office 01/01/2017, term expires 2020. Democratic Party, assumed office 01/01/2019, term expires 2022. Republican Party, assumed office 01/01/2009, term expires 2020. The supervisors meet every Monday at 9:00am in the first-floor meeting room at the courthouse. The public is invited to attend, but should submit agenda items in advance to the Auditor's office by noon Thursday. See the Agenda & Minutes webpage. Other board meetings will be scheduled as necessary. 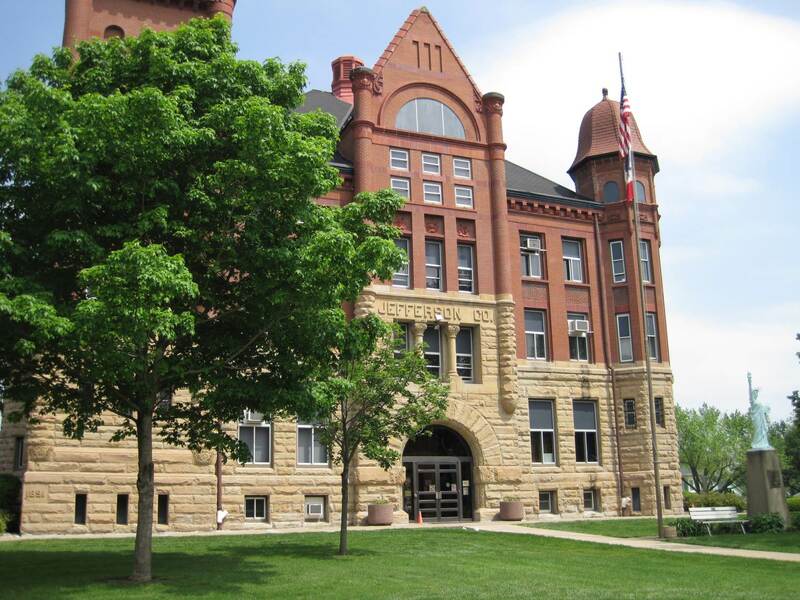 Minutes of the Board meetings are available for public viewing in the County Auditor's office in the Courthouse, are on the Agenda & Minutes webpage, and are published weekly in the official county newspapers. Three members are elected who serve staggered four-year terms. Legislative body of county government. The Board elects one member annually to chair its activities. Responsible for overseeing the county budget. Make county policies. (See Jefferson County Code of Ordinances webpage). 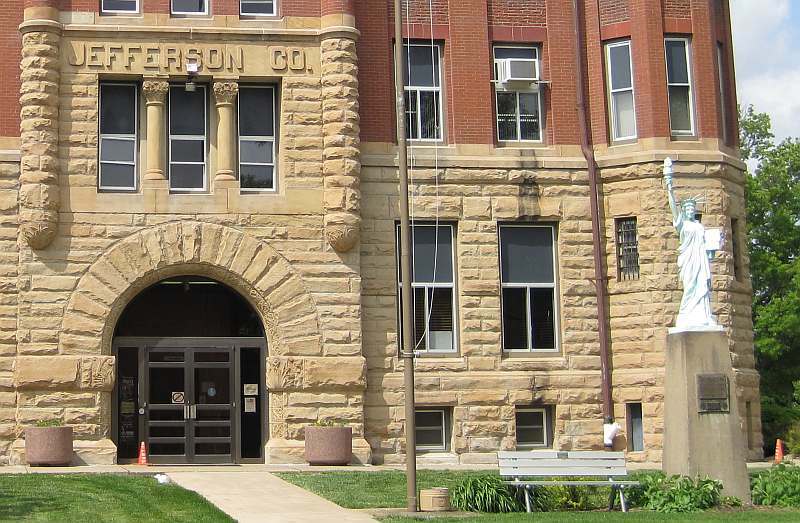 Supervisors serve on a number of Boards and Commissions that affect all aspects of the county - Jefferson County Board of Supervisors - Committee Assignments 2019 (PDF), and Jefferson County Boards/Commissions.pdf (PDF). Promotes and facilitates various cooperative efforts between and among other government entities and jurisdictions. County Attorney, go to their webpage. County Auditor, go to their webpage. County Sheriff, go to their webpage. County Recorder, go to their webpage. County Treasurer, go to their webpage. 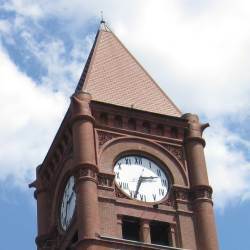 A grand 'ol lady returned to the Jefferson County Courthouse, Tuesday, June 20, 2007. 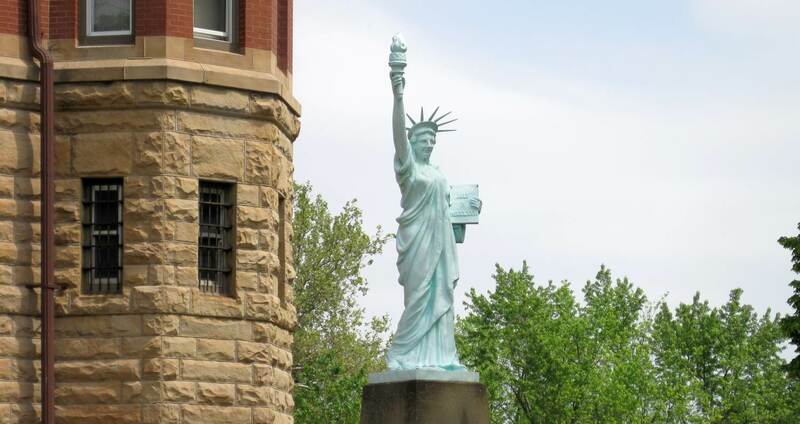 For the past couple of years, restoration of the Statue of Liberty, that stood watch on the courthouse's south lawn, has been taking place at Pech Radiator Shop by Matthew Mazza and County Supervisor Mike Pech. Now after a complete restoration the statue has been put back on its pedestal. 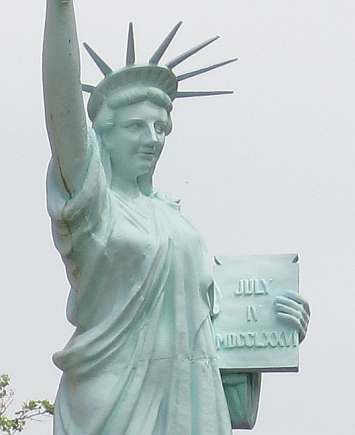 The statue was a gift to the county from the Boy Scouts of America in the early 50's, but was blown over by a wind storm in 2005 and suffered severe damage. A dedication for the statue will be held at a later date. 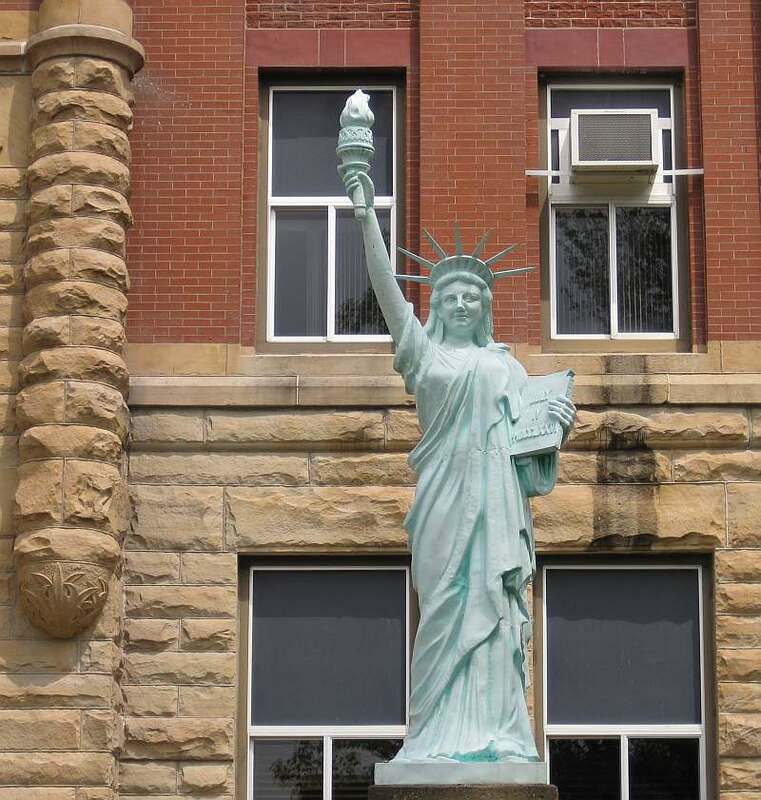 Statue of Liberty in front of Jefferson County Courthouse. This is the south (main) entrance. 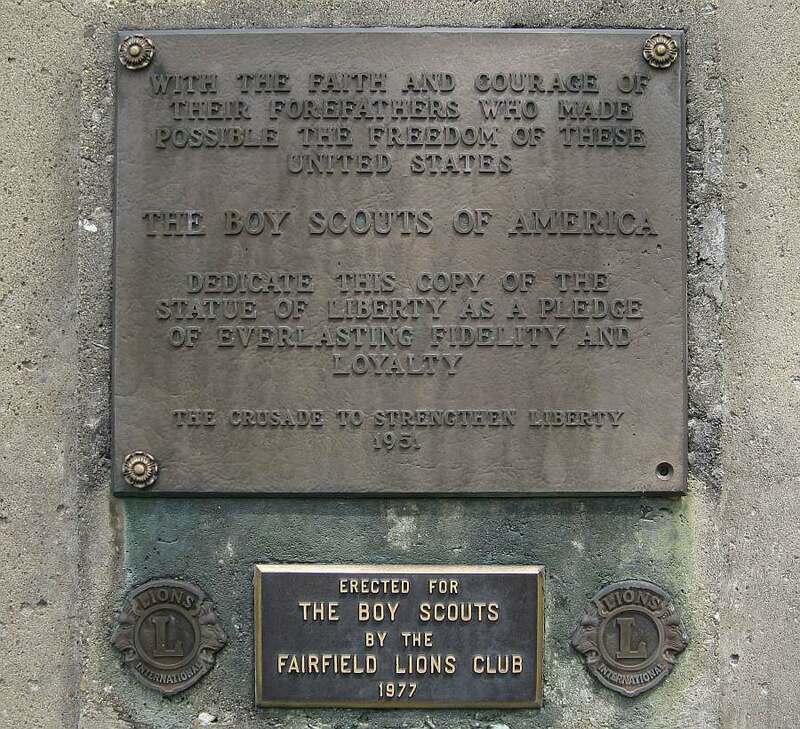 The plaque on the statue pedestal.